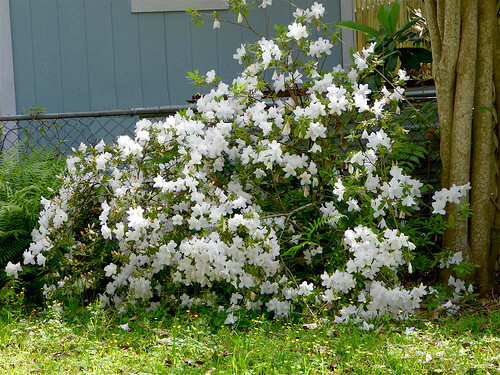 White Azalea in my garden. Over 4' tall and 5" wide and 28 years old. Mar. 2019.